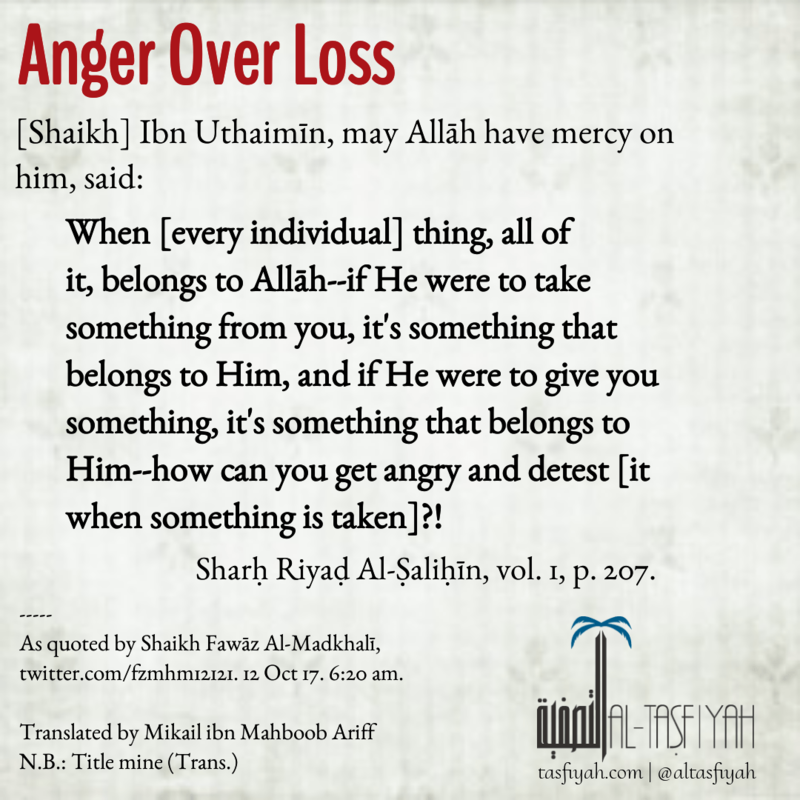 When [every individual] thing, all of it, belongs to Allāh–if He were to take something from you, it’s something that belongs to Him, and if He were to give you something, it’s something that belongs to Him–how can you get angry and detest [it when something is taken]?! Sharḥ Riyaḍ Al-Ṣaliḥīn, vol. 1, p. 207. As quoted by Shaikh Fawāz Al-Madkhalī, twitter.com/fzmhm12121. 12 Oct 17. 6:20 am.